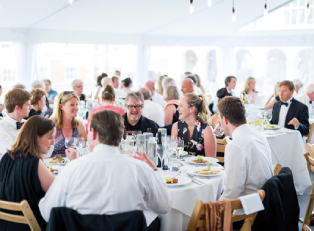 Ticket holders are invited to book their dining for the 2019 NHO festival from the options below. Please note that all dining choices must be pre-ordered in advance. Our festival caterers, Payne & Gunter will contact customers in April, in order to confirm their individual menu choices. 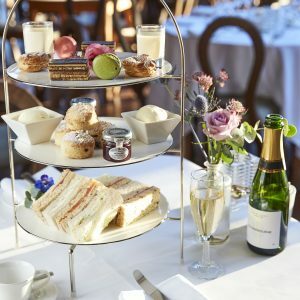 Back by popular demand, a delicious Afternoon Tea will be available during the long dining interval of our Sunday matinee performances. Afternoon Tea is served in the Restaurant Marquee. 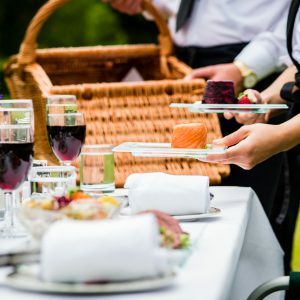 *New for 2019* We've teamed up with local suppliers to bring you a picnic hamper of fresh summer produce to enjoy. 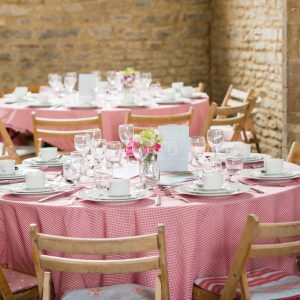 Your hamper can be enjoyed al fresco on the lawns, or guests are welcome to book a seat in our Picnic Chapel. 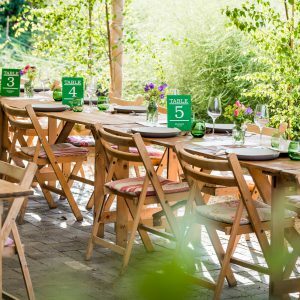 Book a seat at our communal dining tables in the charming Kitchen Garden, and sample an informal buffet menu of fresh seasonal delights. Curated by chef Ben Tish. 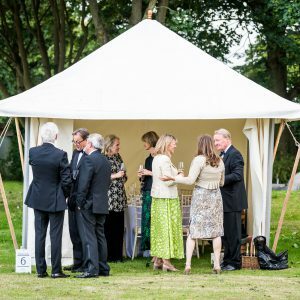 Revel in a gourmet meal in our pop-up festival dining marquee. With a fantastic range of seasonal options, featuring local suppliers, we are delighted to introduce Payne & Gunter's inaugural Nevill Holt Opera restaurant menu. Our private pavilions offer an exclusive dining space for up to 12 guests. Offering a laid or an unlaid option for your convenience, why not dine in style in your own private space, available to you before, during and after the opera.